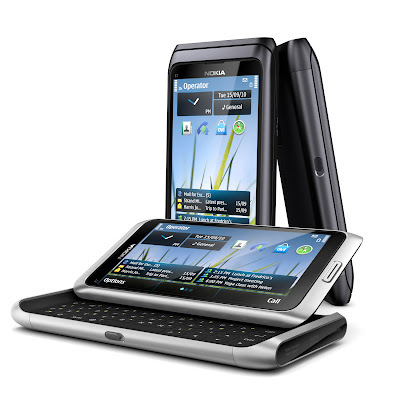 Officially launched in the Philippines last March 24, 2011, the Nokia E7 is tagged as the ultimate smartphone, especially targeting the businessmen who are always on-the-go. Why ultimate smartphone? It enables access to private and business email; allows the creation, editing and sharing of office documents, viewing of PDF files with Adobe Reader; has fast, secure intranet access with the built-in VPN; takes high-resolution photos and HD video with the 8 megapixel camera and dual LED flash; allows HDMI connectivity to project files, videos and images onto large screens. The phone has 16 gigabytes of on-board flash memory and USB-On-The-Go, enabling easy file sharing by connecting a USB stick to the smartphone. While I show the unboxing photos of the smartphone below, don't forget to check out its specifications listed on my previous entry. The Nokia E7 comes with a 12-month limited warranty when you buy it from official Nokia distributors at the SRP of Php32,000. 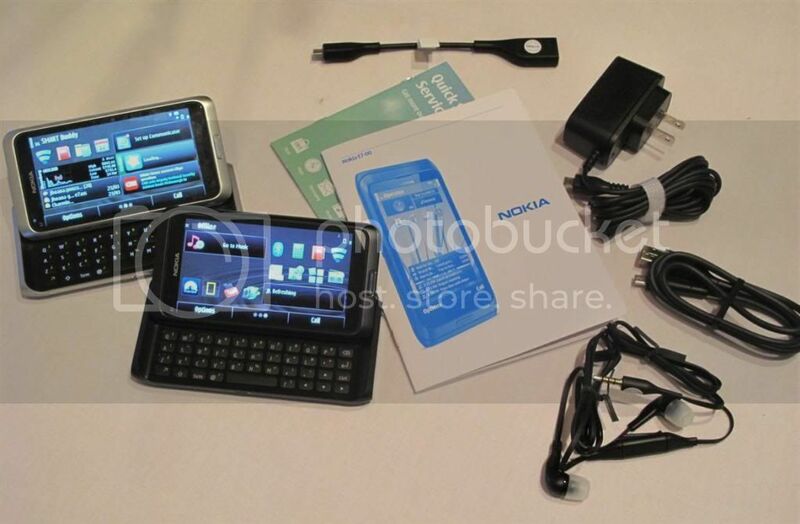 The standard package includes manuals, 3.5mm headphone, USB-On-The-Go cable, micro-USB to USB computer cable, HDMI adapter, charger, battery, and the Nokia E7 unit. 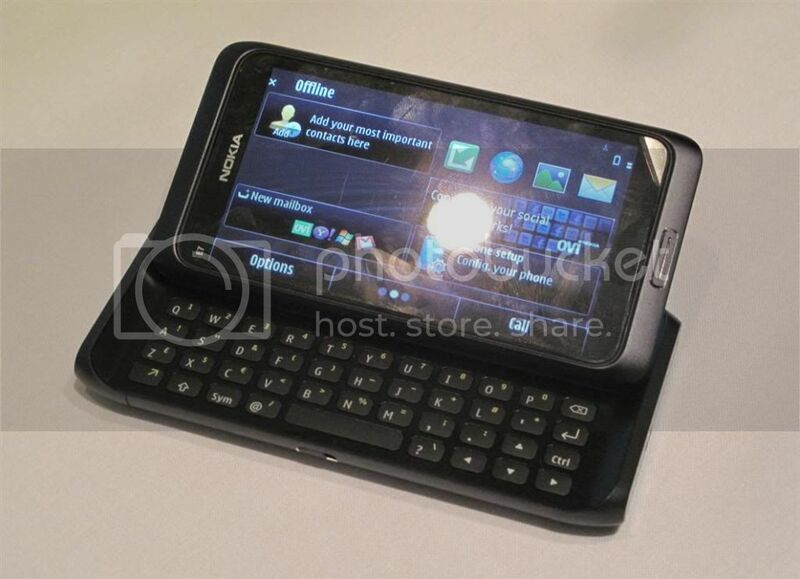 The Nokia E7 has a slide out QWERTY keyboard for texting, but also allows portrait texting. You can put and switch around gadgets on the three homescreens for faster and easier access of menus, shortcuts, and contacts. The smartphone is lightweight and thin, much like the Nokia N8. With the capacitive touchscreen, pressing items on screen is not an issue at all. It also allows the access to corporate directory through Microsoft Exchange servers, as well as Office Communicator Mobile, developed by Microsoft for Nokia smartphones, which brings presence and corporate instant messaging. 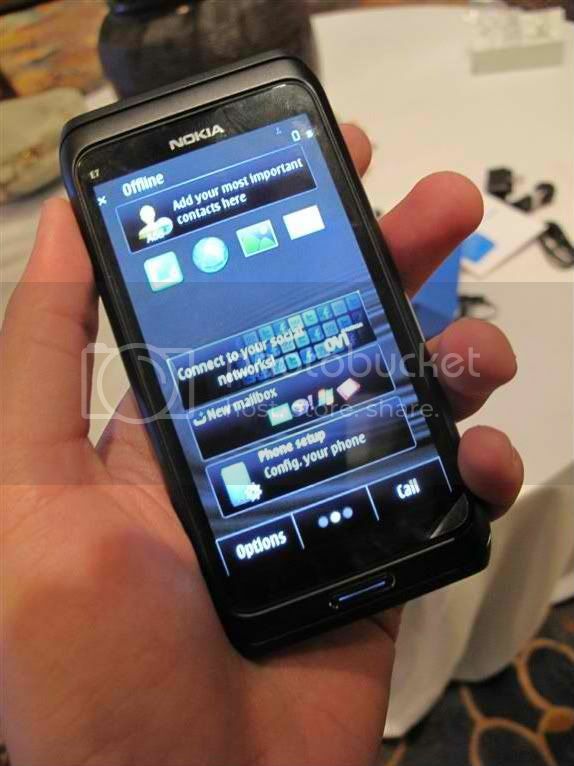 TV5 Junior Correspondent MJ Marfori was at the Nokia E7 Philippine launch to cover the event and try out the Nokia E7. As you can see, the phone is connected to the LCD TV via the HDMI cable. With the phone connected to the TV, you can view your videos on a bigger screen -- just like what MJ is doing in the picture above. Benoit Nalin, General Manager of Nokia Philippines says, "People are continuing to look for solutions that suit both their work and personal life; in business circles this is known as the 'consumerization' of IT. The Nokia E7 gives people the confidence to bring their own smartphones to the workplace to connect securely to corporate messaging servers." He adds, "on the other hand, whether you are anartist, entrepreneur, university student or aspiring world traveller, the Nokia E7 is the only smartphone you will need to get the world's best mobile navigation and mapping application, thousands of apps, and a rich messaging experience." 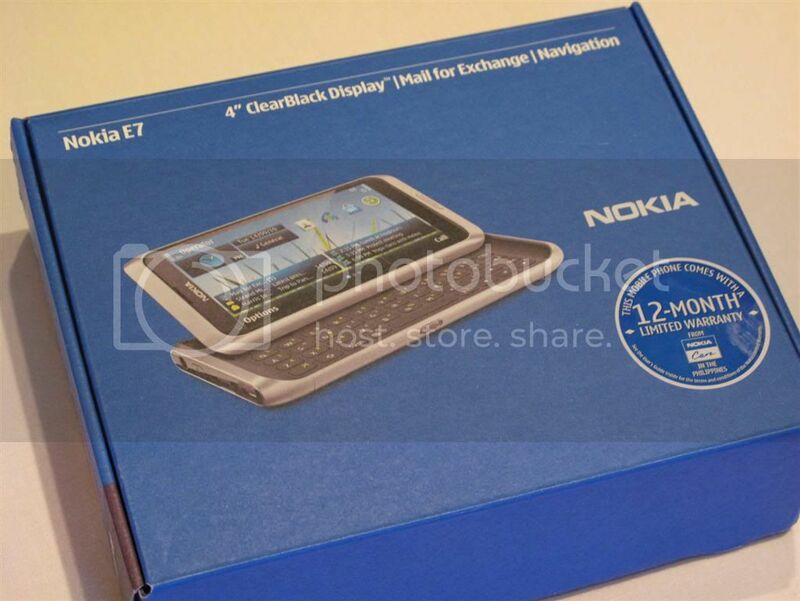 During my short time to try the Nokia E7, I can say that it's very much like the Nokia N8, which is handy, user-friendly and powerful, but without the 12MP camera. If you think the QWERTY keypads and the added Microsoft features are worth the price, go ahead and get your very own Nokia E7.